Never worry about water entering your basement again. Atlanta Waterproofing Systems with a Lifetime Warranty Since 1972. With solutions like stone foundation repair, exterior/interior cracked wall repair, and wall replacements, we can help you solve any foundation repair issues you may have. We can help you divert water from down spouts away from your structure and regrade properly around your foundation’s walls. We specialize in exterior and interior waterproofing. 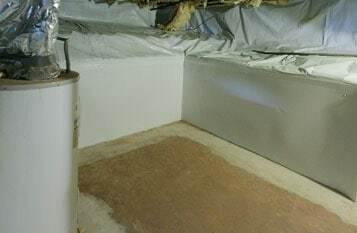 We can transform your musty, damp, and leaky basement into a dry, usable space. Keller Waterproofing and Foundation Specialist is your go to company in the Atlanta, Marietta, Decatur, Smyrna, Sandy Springs areas for expert foundation repair and basement waterproofing. 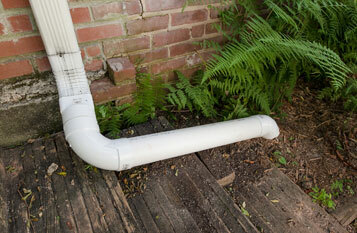 We have been helping people in the Atlanta area deal with basement problems for more than 40 years. We have several different solutions to solve these problems depending on your need. Every home has different needs, and we have a wide range of basement repair services for every home that will work specifically for those needs. We offer lifetime, transferable warranties with our work, which will increase the value of your home and give you peace of mind. We also offer a variety of services for commercial clients, pre-construction services as well as a full range of masonry and concrete services. We can help you deal with a wide variety of basement and foundation problems that consist of the repair, realignment, and stabilization of key structural points. Our basement waterproofing services cover both aspects of water-damage sources: internal and external. The interior areas of your basement require a unique set of systems, installed and integrated within your basement where water has become a problem. Rising water tables are a common issue, and our interior waterproofing systems help alleviate this problem. Through a set of drain systems we can effectively mitigate all water away from structural points throughout your basement. Commercial buildings and structures require a different approach than houses. Our foundation repair contractors are certified under state building code and regulations to handle and maintain structural repairs. Through a strict protocol, we provide commercial foundation repairs from thorough assessment, planning, engineering, and installation of structural repair systems. With massive weight distribution being threatened, you can count on our experience specialists to handle this particularly critical problem with care. Get your foundation inspection and repair today by contacting us. 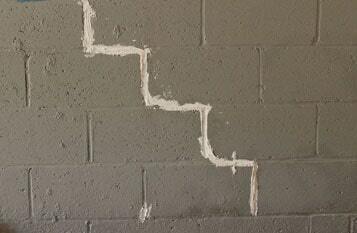 If you're looking for foundation crack repair, we can help! We fix foundation cracks that threaten your the structural integrity of your concrete, and are arguably the most detrimental to your home. Strengthening your concrete and solidifying their hold for better stability is important. This has become an after-effect of foundation settlement problems, where your home sinks into the ground. This is caused by unstable soil conditions surrounding your home, and water build-up within the soil that causes pressure against concrete walls. Using a combination of our services, we can alter and reverse this effect, creating a permanent solution to foundations. How to fix a cracked foundation is simple, but requires the professional approach and thorough assessment before proceeding. Sometimes basement waterproofing and foundation repair isn't enough to keep your home protected. Undesired water that builds around your yard can lead to wet basement problems over time, causing thousands of dollars in damages. This in-turn destroys concrete or causes concrete to sink, thusly creating foundation problems. With our drainage and grading, the yard and soil is 'graded' to slope and force water to flow away from your home. To ensure this further, we install drain pips underground that will enhance the water mitigation process. Our foundation repair services for homes consist of eliminating immediate threats that do not rely on other variables. If you're experiencing foundation settlement problems, we install and use foundation piers that will lift your home and align the concrete properly. If you're experiencing bowed basement walls, we install wall anchors or steel I-beams to realign and stabilize the concrete wall permanently. House foundation repair is relatively simple, however we may recommend some of our waterproofing services to address the underlining cause of foundation problems. Each situation is different, and our complete assessment and inspection will help determine the best course of action. As a more unique type of foundation service, masonry repair is specific to homes that have mason foundations and walls. This includes brick, block, and stone layouts that may have become damaged over time. Our specialists, as a family owned and operated company, truly care about the quality of your home. Mason foundations add incredible value to your home and should be handled with delicacy, accuracy, and efficiency. Masonry wall repair is our specialty, with experience in hundreds of wealthy and historical estates throughout the area. Preserving your masonry is our top priority. When you need to repair concrete driveways, sidewalks, or other concrete structures, contact the specialists at Keller. We provide concrete repair services the encompass everything related to concrete aside from your home's actual foundation. This includes services for cement crack repair and concrete slab restoration that will address any underlining issues. With our mudjacking techniques we can effectively stabilize your concrete. 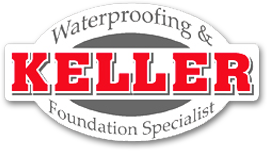 If you have any questions or you would like to set up a free consultation and estimate, please contact a Keller Waterproofing & Foundation Specialist today.